If you have been looking for something inspirational for real estate website development, Trulia is worth getting your attention. The website receives 57 million monthly unique visitors and is a US $144 million company that employs over 1, 100 employees. Here is what you can learn from this real estate website. The website comes with a simple user interface that features a search bot on the banner and directly displays the top listings below it. The search box comes with a filter. You can make the search as per your requirements - buy, rent and sell. It's real estate web developers deserve an applause for leveraging the WordPress platform to the fullest. 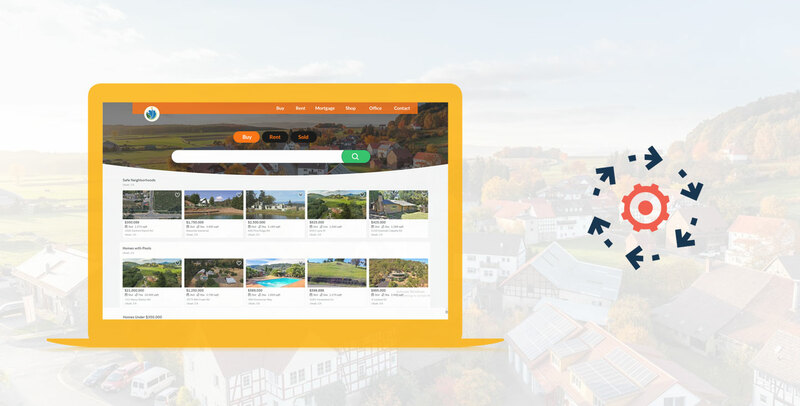 The website hosts hundreds and thousands of listings of houses and properties in different budgets matching the needs of its customers. The website is equipped with containers to handle high defined images and texts that are well balanced and don’t get distorted on any of the devices from mobile to desktop. Transcending the responsive web design level, the website delivers a complete fluid experience. This type of design is instrumental in delivering a consistent experience to the users. Trulia relies on a reliable MLS provider and ensures availability of a wide range of choices for property buyers. It also helps the sellers by enabling them to reach out to a wider audience. Brokers and real estate agents can collaborate and bridge the buyers and sellers to make a good profit. Despite being loaded with too many listings and visited by a huge number of visitors, the website takes only 2.84 seconds to loads on any device, and it gives 55 percent of the websites a run for their money. The website has been rated by the most reliable website speed testing service provider, Pingdom as B, which is equivalent to 80 points out of total 100. It reflects the deep expertise of their WordPress developers in choosing, configuring and enhancing the theme and module, APIs and databases. Thus, you need to provide a win-win strategy for all stakeholders of the website including buyers, sellers, agents, and brokers, if you want to create and deliver a great user experience. Disclaimer: The content published here is just for marketing purpose to give website users a rough idea on the technology budget, it doesn’t claim that Root Info Solutions copies, clones, modifies, alters any existing codes, or performs a reverse-engineering to create such an app. We create a website from scratch based on the idea and requirements of our clients.